Coastal Cleanup Day is Saturday September 21, 2019! You can do your part to staunch the flow of the estimated millions of tons of garbage in our oceans by participating in California’s Coastal Cleanup Day. As longtime NEC supporters know, Coastal Cleanup Day had its humble beginnings right here in Humboldt County as a program of the NEC. Now international, the event is celebrated worldwide and is the single largest volunteer event in support of the marine environment. 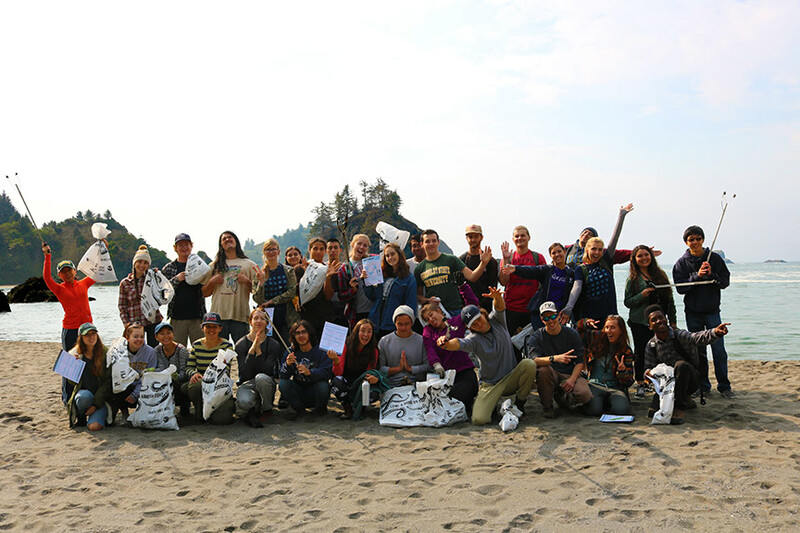 With your help, over 1,000 Humboldt County Coastal Cleanup Day volunteers remove about seven tons of trash and recyclables from our beaches, rivers, bay and estuaries each year. Coupled with efforts throughout the state and around the world, Coastal Cleanup Day makes a quantitative difference in how much trash enters our ocean. The Northcoast Environmental Center coordinates 60+ cleanups throughout Humboldt County—requiring an immense amount of staff time and community coordination. We are seeking site captains and volunteers, as well as financial sponsorships to cover coordination costs. Contact the NEC at 707-822-6918 for more information. Many thanks to all our cleanup volunteers, and site captains—many of whom come back to help year after year! The HSU Natural Resources Club on Coastal Cleanup Day 2017.